Is cathair í Dayton atá suite in Ohio, i Stáit Aontaithe Mheiriceá. Tá Dayton suite i gContae Montgomery, agus tugtar an leasainm "The Gem City" air. Tá Nan Whaley ina méara ann. 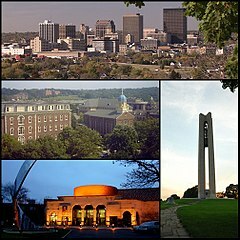 Bunaíodh an chathair sa bhliain 1796.
www.cityofdayton.org - Suíomh idirlín oifigiúil.